Daryl Johnson (Worcester Park, United Kingdom) on 17 January 2011 in Architecture. Leaving the English winter behind, I'm returning to some photos from our trip to France in September last year. 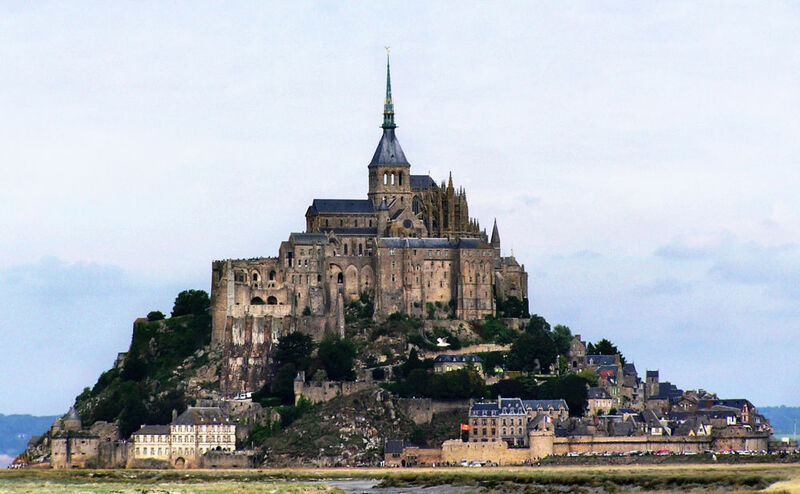 We took a day trip from Paris to Mont Saint Michel in Normandy, well worth the long drive. It was great to be able to visit this famous location, steeped in history. An academic and superbly done image ! You caught every piece of available light, nice job. Aha, we probably crossed each other there without knowing. @Siepi: Thanks Siepi - were you there last September...? A beautiful rendition of this world famous location! We once had a documentary on TV (Japanese do documentaries on EVERYTHING and they do it well) showing all the details and corners of this place...buildings, streets, shops, people....Fascinating it was! @Japanalia: Thanks Gabriela - it really is well worth a visit. Great shot of the Abbey Daryl, the tonal contrast are excellent.